The candidate went on to accuse the Central Elections Commission and federal television management of having a deliberate plan to damage the public attitude to the presidential election. “The Central Elections Commission and central TV channels do not want us to debate one-on-one, they turned these debates into a so-called show, and now they do only one thing – they spoil the public attitude to the presidential polls,” he stated. “I am not going to participate in this anymore, because you are doing everything to prevent the people from coming to the elections. 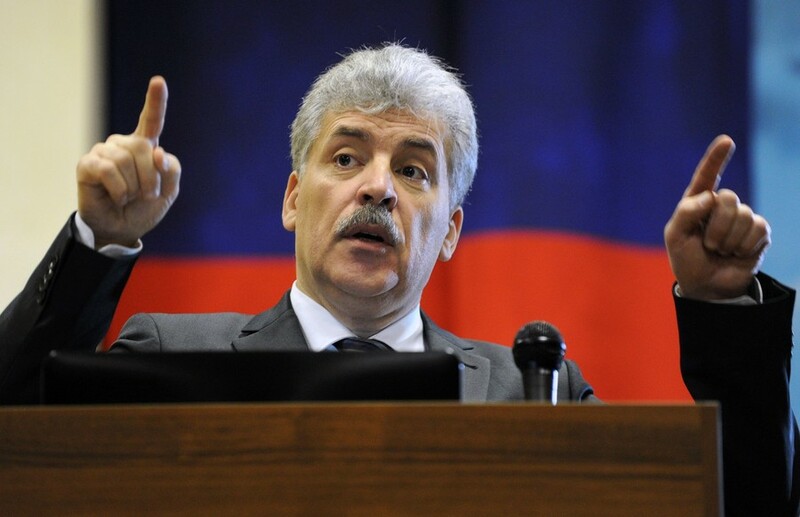 Because all this is more like buffoonery,” Grudinin said before leaving. In further comments posted on his Instagram account, he addressed incumbent President Vladimir Putin with a proposal to hold “real” debates followed by “real” elections. 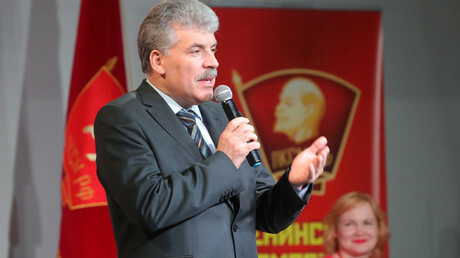 Grudinin’s reaction came soon after two presidential candidates – Vladimir Zhirinovsky of the Liberal Democratic Party and Ksenia Sobchak, who is running as a “none-of-the-above” candidate – started to bicker during the debates and then resorted to verbal assaults. 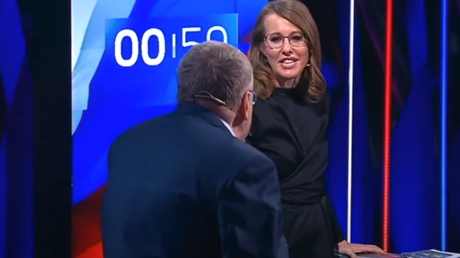 At one point, Sobchak poured a glass of water over Zhirinovsky, prompting the show host to intervene. Earlier, business-oriented Russian newspaper Vedomosti quoted the head of Sobchak’s election HQ, Timur Valeyev, as saying that Grudinin, Sobchak and Zhirinovsky had allegedly agreed not to follow the rules imposed on them by organizers of the debates and to start bilateral arguments. The Russian presidential elections are scheduled for March 18 with eight people running for the post. The latest opinion polls indicate that President Vladimir Putin is likely to win in the first round.